Spanish Peasant in a straw coat, 1808. 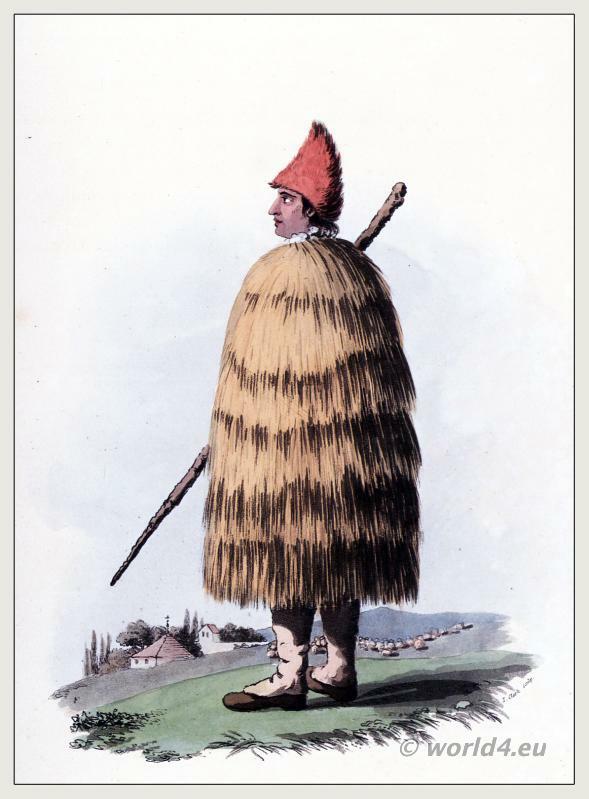 Home » Spanish Peasant in a straw coat, 1808. PEASANT IN A STRAW COAT. THE shepherds and labouring Peasants in most provinces of the Peninsula, protect themselves from the periodical heavy rains by a straw covering; this species of clothing is matted together, and is made sufficiently large to cover the whole person. By thus, as it were thatching themselves in, the Peasants pursue their out of doors occupation without any inconvenience from the weather. This entry was posted in 1808, 19th Century, Spain, Traditional and tagged The War in the Peninsula on 7/20/13 by world4.